Sercos International will present numerous exhibits, including a Sercos TSN Demonstrator and an Industry 4.0 Demonstrator, during Hanover Fair, in Hanover, Germany April 23-27, 2018, in hall 9, booth G28. The Sercos® TSN Demonstrator shows the transmission of the Sercos III real-time protocol via IEEE 802.1 TSN (time-sensitive networks), illustrating the possibilities for providing a real-time and multi-protocol-capable network infrastructure based on TSN for automation technology. The demonstrator was developed at the Institute for Control Engineering of Machine Tools and Manufacturing Units (ISW) at the University of Stuttgart with the support of several industrial partners such as, Tenasys. The demonstrator includes a TSN-based Sercos III SoftMaster with a Soft-CNC from Industrielle Steuerungstechnik (ISG), which communicates with Sercos III servo drives from Bosch Rexroth via TSN switches from Hirschmann Automation & Control. At the same time, video streams from a web cam are transmitted to a remote display over the TSN network infrastructure without hampering the characteristics and functionality of the Sercos real-time communication. An Industry 4.0 Demonstrator highlights how process and device data are made available both locally via the real-time bus and remotely via OPC UA for a range of application scenarios in a uniform and cross-manufacturer manner. 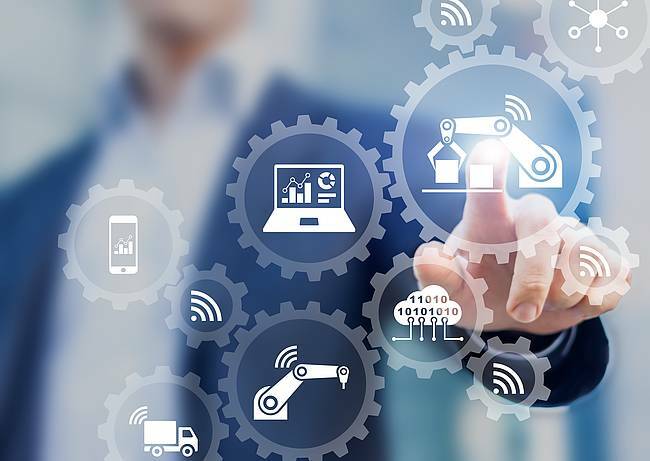 This makes data exchange between production machines and superior IT systems easier and also supports the requirements of Industry 4.0 regarding semantic interoperability. The multi-protocol capability of Sercos makes various implementation options possible. One option is integration of the OPC UA server functionality into a machine control, where the control acts as a gateway in which the mapping of Sercos data and services is implemented. With Sercos III, it is also possible to integrate an OPC UA server directly into a Sercos drive, I/O station or sensor. In this case, the OPC protocol is routed directly to the relevant Sercos slave device. The gateway functionality of the control is thus reduced to the function of an Ethernet switch. Due to the Sercos transmission process (no tunneling! ), the ability of an OPC client and an OPC UA server to communicate with each other is preserved even when Sercos real-time communication is not running. A Sercos SoftMaster Demo scores points with an open “upward” and “downward” communication link. It is based on a Sercos III SoftMaster core, which was developed in cooperation with Bosch Rexroth and is available as open-source software. With the Sercos III SoftMaster, a specific Sercos III FPGA or ASIC master component is not required. Instead, a standard Ethernet controller is used and the Sercos III hardware functions are emulated in host-based driver software. This implementation approach ensures adequate real-time behavior for a large number of applications. The CPU load is significantly reduced using the SoftMaster in combination with the powerful Intel I210. Control manufacturers can use an industrial PC without special fieldbus hardware and without PCI slots to control a machine, saving cost and space and reducing development time.